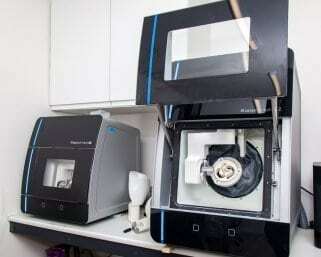 Fab Smile Veneers bring to you the brilliant new way to get that perfect smile. 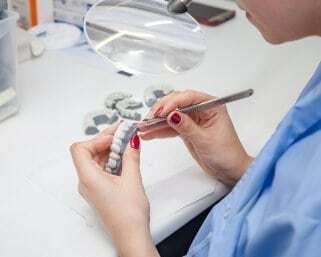 However before you get started, please note our product might not be suitable for you if you have any of the following issues: loose teeth or crowns or bridges, bleeding gums or gum disease, several missing teeth in a row, if you use an orthodontic appliance, if you are undergoing dental or orthodontic treatment or if you are under 18 years of age. 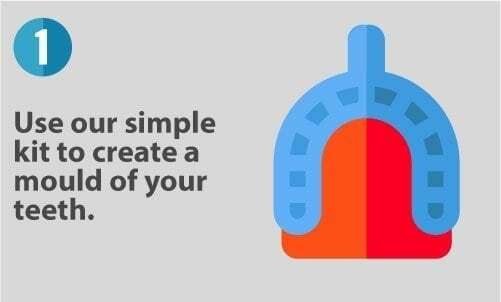 If you do have more than 2 missing teeth in a row, please phone us on 03333 206662 so that we can properly assess your suitability for our products as this will depend on the number and position of your missing teeth. Do not worry if you do have missing teeth because in most cases we are able to offer a solution. Once you have chosen which veneer type and shade that you want, we will send to you our simple to use ‘home impression kit’. Take your impressions carefully following the instructions included in the kit. 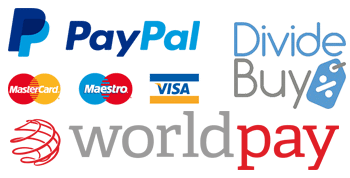 Don’t worry about taking your impression because we will send you a video giving you simple and clear step-by-step instructions, and if you do have any problems taking the impression, you can contact us and we will help you. 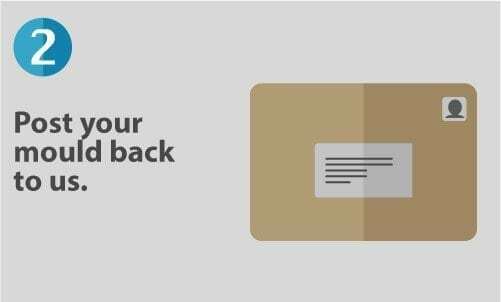 Return your finished impression back to us using the postage-paid box that we provide. 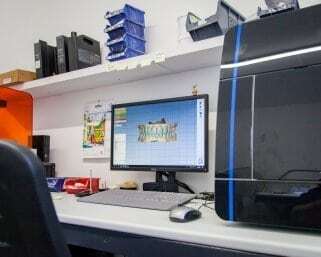 Once we have got your impression, our skilled technicians will manufacture your bespoke veneers using precision equipment to your exact specification and measurements. 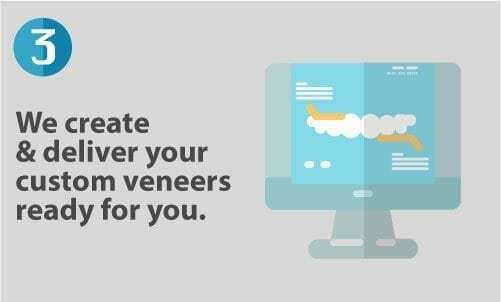 As soon as your new veneers are ready, they will be delivered to you as quickly as possible. When you get your new veneers, you are good to go! 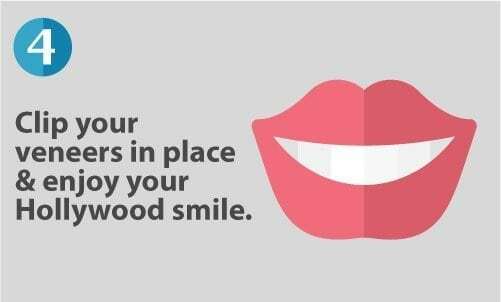 Just clip your veneers in to place and enjoy your wonderful new Hollywood smile!